On this page we offer input and inspiration from some special guest visitors… always meaningful – but seldom only a minute long! 1st Installment: Who’s who in mental health? Of the many things we mental health professionals might do to improve the quality of our services to you, our clients, perhaps the first thing might be to explain our differing titles and job descriptions. With that in mind, here’s a brief summary of who you might find out there and how to make a little more sense of what they do. These folks all went to medical school – so, yes, they are all either M.D.’s or D.O.’s who happen to specialize in the evaluation and medical treatment of mental disorders. Accordingly, their primary role is the prescribing and managing of medications that may be useful in treating these disorders. Rarely would they be involved in psychological testing or counseling. So, if your insurance company says you’re covered only when your counseling is done by a psychiatrist…politely print and fax them this page. Testing and evaluation are typically the domain of these professionals. Their services may include administering and interpreting intelligence and achievement tests (as in school psychologists), personality tests (as in screenings for sensitive jobs like law enforcement), and more specialized tests to help assess psychological functioning or diagnose a particular mental disorder. They have PhD’s or Master’s degrees and cannot prescribe medications. 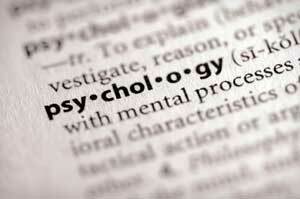 Many are also qualified to provide psychotherapy or counseling and often do so. These professionals are usually synonymous in terms of their roles and generally provide counseling support for a variety of mental health issues or difficulties across the lifespan. They do not prescribe medications, but do diagnose and treat mental disorders if qualified to do so. They may also administer certain tests or perform assessments (if trained in those instruments and as their licensing permits) in order to better clarify the needs of their clients and render best treatment. They must minimally hold a Master’s degree and are licensed to practice in most states unless working in a school setting (as in guidance counselors). Many also specialize in terms of the types of clients they see (i.e. marriage counselors, child and family therapists, geriatric counselors). So, to wrap it all up in a mental health minute…Please remember that these job definitions are not meant to be all-inclusive. Many of the roles of the above professionals certainly overlap – and some clearly do not (i.e. prescribing meds.). Also, these professional areas are not hierarchical – meaning they are all equally relevant and do not outrank one another. The main thing is that you get to the right service provider for the service you need – and that the provider is relating to your concerns in a caring and competent manner. Where do you find such a person? When seeking mental health care for children, it is usually best to check with someone you already know and trust with your kids. This could include your child’s guidance counselor or pediatrician or even other parents who have used area counseling services. They usually know who’s who in community mental health and can offer you more of an opportunity to be well matched.